Teleconverters have been around for a long time. They are optical accessories which, when placed between a lens and a camera body, increase the effective focal length of the lens. 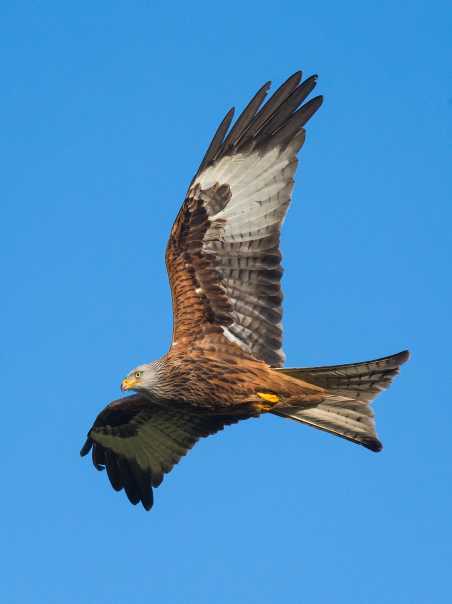 This red kite was photographed using an EOS-1D X camera fitted with an EF 300mm f2.8L IS USM lens and a Canon Extender 1.4x, giving an effective focal length of 420mm. The exposure was 1/5000 second at f5.6, ISO 1250. Photographer: Drew Buckley. Canon manufactures a couple of teleconverters, which it calls Extenders. The latest versions are the Extender EF 1.4x Mark III and the Extender EF 2x Mark III. 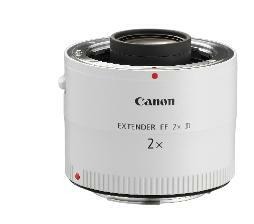 Canon Extenders only fit a limited range of EF lenses – essentially L-series primes with a focal length of 135mm or more and L-series zooms with a minimum focal length of 70mm. They do not fit any EF-S lenses. Third-party teleconverters are more tolerant of EF lenses than Extenders and can be used with most, though the best results come with extending the focal lengths of telephoto lenses. The Kenko HD DGX teleconverters are compatible with EF and EF-S lenses (for the most part). These are, as far as we know, the first teleconverters that will accept EF-S lenses. When you use autofocus (AF), the lens aperture is always at its maximum value. This is the widest setting of the aperture, letting the most light through to the camera and giving the best conditions for autofocusing. The lens only closes down to the selected aperture when you press the shutter button to make an exposure. With continuous shooting, the shutter closes after the first exposure, the aperture opens back to its maximum value, the lens re-focuses and then the second exposure is made. It all happens very fast. Autofocusing never takes place at apertures below the maximum value of the lens. When using Canon lenses and accessories, most EOS cameras will not focus with a maximum aperture smaller than f5.6. This is not usually a problem as all EF lenses have a maximum aperture of f5.6 or wider. The problem comes when you add an Extender or converter. The table (right) shows the new maximum aperture. Some lens and Extender combinations mean that you will not be able to autofocus. Not all EOS cameras have the f5.6 limit. Some allow focusing at maximum apertures down to f8 and, with the introduction of the EOS R full frame mirrorless system, this is now further extended with f11 compatibility. This is what we mean when we talk about autofocusing at f5.6 or f8 – it is all about the maximum lens aperture and has nothing to do with the aperture selected for the exposure. Compatibilty has two meanings when it comes to Canon's Extenders. For a list of compatible lenses, see the table on the right. All lenses listed are compatible with Canon Extenders. However, this means that the Extender can be attached to the lens, not that full functionality is retained. Autofocus and image stabilisation may not work with some lens and Extender combinations on some camera bodies. If autofocus is lost, you can always focus manually. 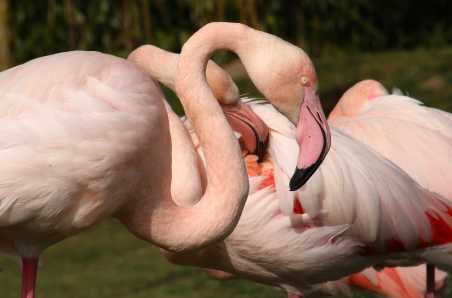 This is often a preferred option as the autofocus speed can slow down when an Extender is fitted, even in bright light. As mentioned earlier, the Kenko Teleplus HD 1.4x and 2x DGX converters are, as far as we know, the only current converters which are compatible with Canon EF-S lenses. The converters fit EOS DSLR full-frame and APS-C models – not the mirrorless EOS M-series or R-series. They do not have the protruding lens elements of the Canon Extenders, so the front of the converter accepts all EF mount lenses as well as EF-S mount lenses. This makes them very versatile and a relatively inexpensive addition to your system. The instruction manuals with both the Teleconverters state that, for the autofocus to work correctly, the 1.4x model needs to be used on lenses with a maximum aperture of f4 or brighter, while the 2x model should be used on lenses with a maximum aperture of f2.8 and brighter. This presents something of a problem with Canon EF-S lenses as, apart from the EF-S 17-55mm f2.8 IS USM, they all have a maximum aperture of f5.6 at the telephoto end of their zooms. Our tests (see the article on pages 58-65 of the April-June 2016 issue) confirm this to some extent. It is possible to autofocus with lenses which have smaller maximum apertures, but the results can be inconsistent and in some cases (particularly with the 2x converter) autofocusing just stops. You can, of course, focus manually. One bonus is that all the AF points appear to remain active, unlike the situation with Canon Extenders where you are often limited to the centre focus point. If you have EF telephoto lenses that are not compatible with Canon Extenders, or use EF-S telephoto lenses, these Kenko Teleplus HD DGX Teleconverters are good value and worth considering.